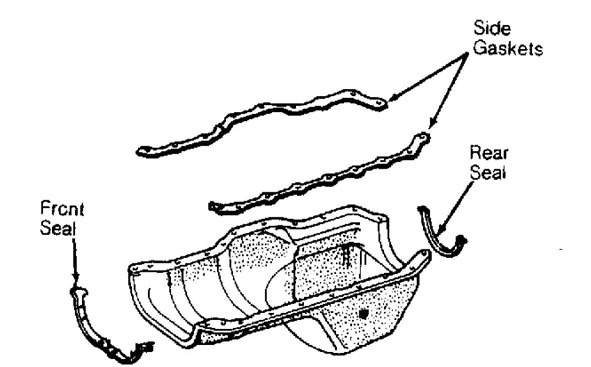 Only engine applications with special oil pan removal and installation procedures are included in this article. 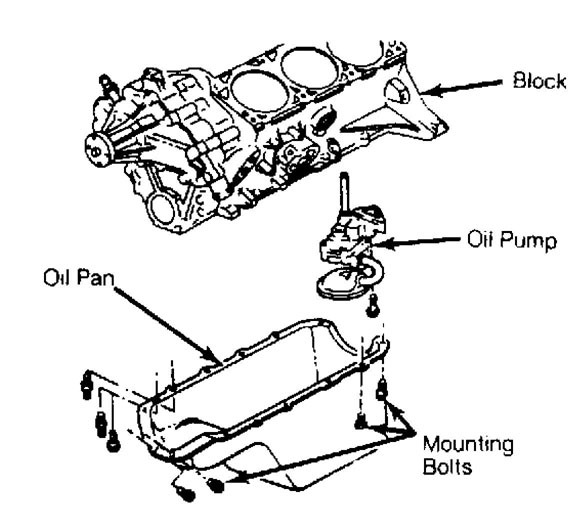 Illustrations of most manufacturer’s oil pans and attaching hardware are provided. Fig. 1: View of Jeep 2.5L Oil Pan Courtesy of Chrysler Motors. Fig. 2: View of Jeep 4.0L & 4.2L Oil Pan Courtesy of Chrysler Motors.